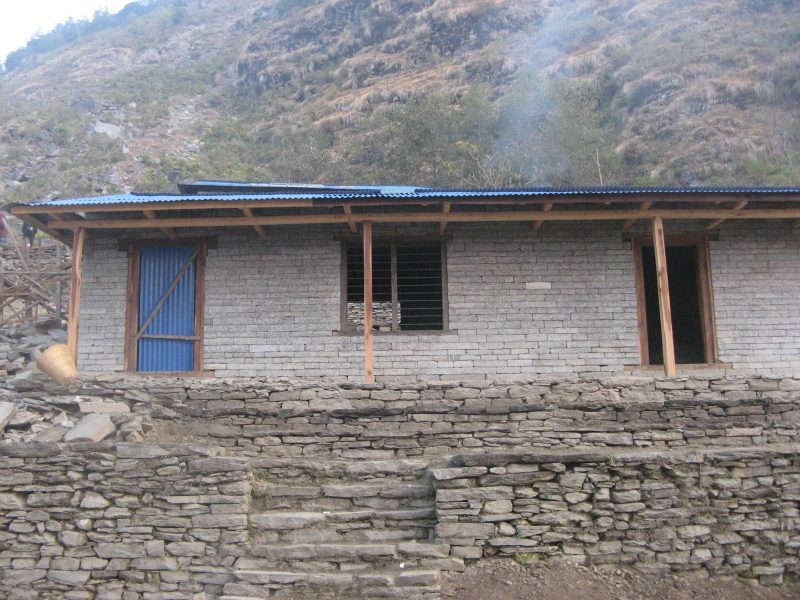 In September 2010 Non-Resident Nepalese Association (NRNA) and the Nepal Australia Friendship Association (NAFA) jointly funded ($5,000 from each Association) a project to build two classrooms for a school in the remote village of Tawal, Ri VDC, Dhading District, Nepal. The classrooms were to enable the school, which currently has approximately 360 students to extend to Grades 9 and 10. Tawal is located in the hilly region of the Ganesh Himal north-west of Kathmandu. It is accessible via a 8-10 hour jeep then 4-5 hours trek up to the village. Members of the NAFA visited Tawal at the end of January and the classrooms, constructed by local labour under the direction of locally based Hilly Region Development Club (HRDC) were about 75% complete. During the small ribbon cutting ceremony to open the building the NAFA President impressed on the audience that the classrooms were 100% being funded by Nepalese people living in Australia who are members of NRNA. There is a small cement rendered plaque acknowledged the joint funding of NRNA and NAFA of the classrooms. 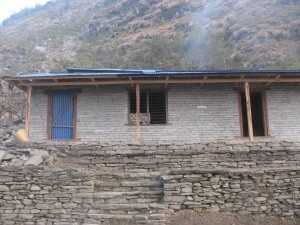 Since then the classrooms have been completed and are being used since the new school year commenced in April 2011. There are 29 students now in Grade 10, with an equal number of girls and boys in the class. A significant proportion of the students come from 5 nearby villages so the school is really an area school, as opposed to only being for Tawal students. Community leaders advised that school attendance for Tawal and surrounding villages is now over 95% of that age group, compared to about 60% 5 or 6 years ago. It has also meant that the students do not have to spend 3 hours a day walking to and from the nearest school that also goes to Grade 10. This means they have more time to help at home with family chores before and after school and more time for homework, which is particularly important in the lead-up to writing School Leaving Certificate (SLC) exams at the end of Grade 10. NAFA was honoured to have jointly funded this important project with NRNA and we would love the opportunity to jointly fund another project with NRNA The local branch of NRNA were very motivated in 2010 to match the NRNA contribution and in fact succeeded in raising the $5,000 that NAFA contributed towards the project. Thanks again for NRNA’s support for this important education infrastructure project for the remote village of Tawal. It is greatly appreciated.